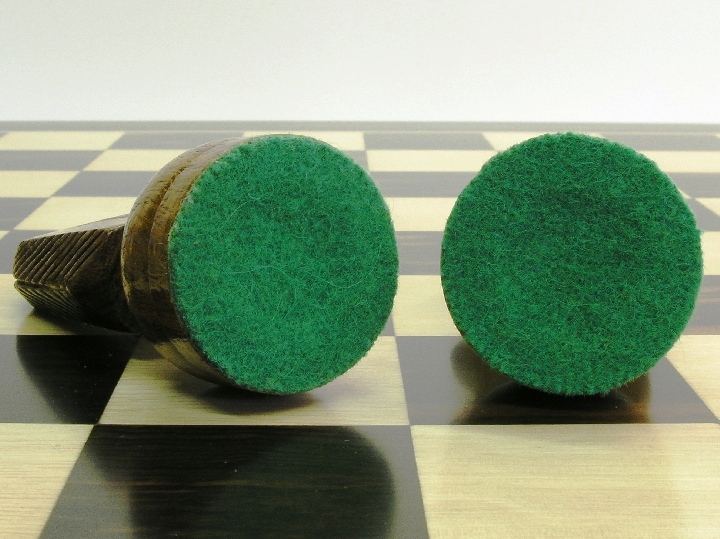 This product from Chess Baron: 'A staunton set Jim, but not as we know it'. 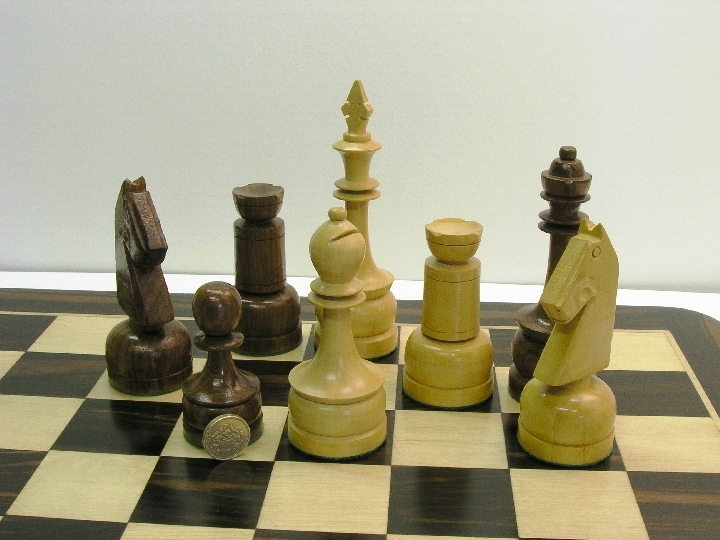 Much better than the pictures suggest - a large staunton chess set with huge pawns, chunky art deco knights (generally art deco inspired design), great feeling rooks and ooooh... tall Kings! 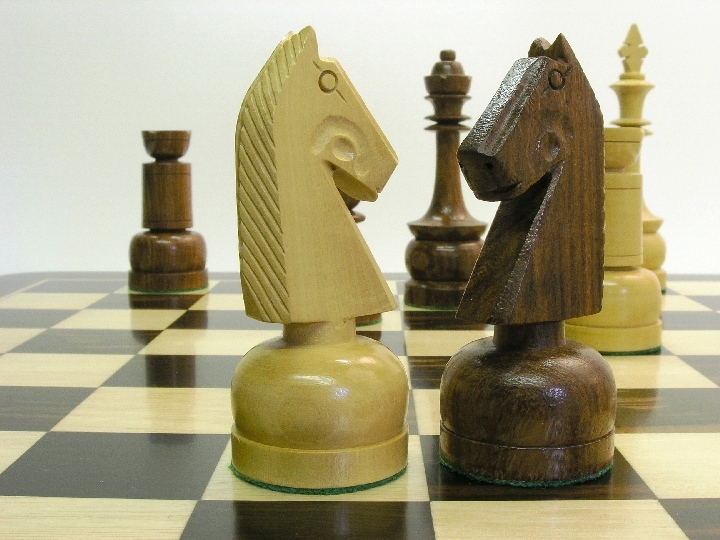 Not a strict staunton devotee? 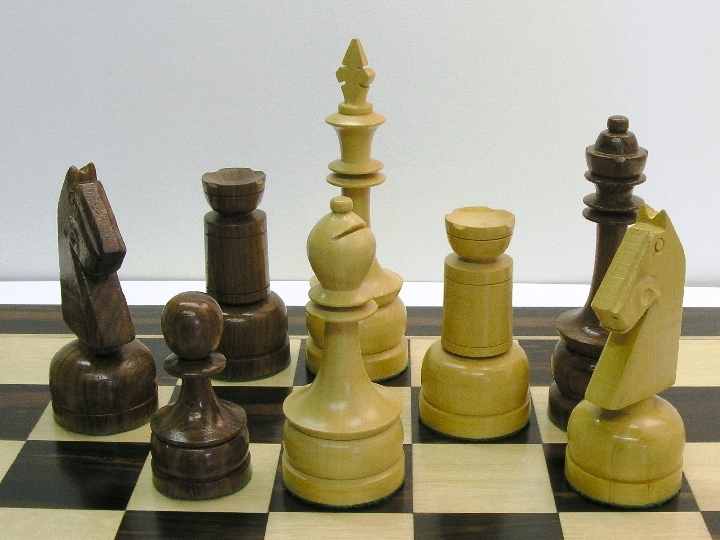 Like something similar yet different? 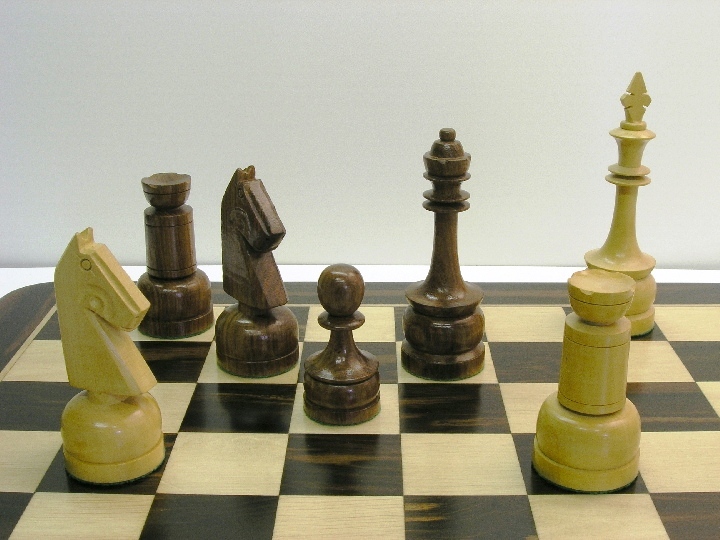 Pawns larger than most Kings but still comfortable on a board with 2 inch squares. 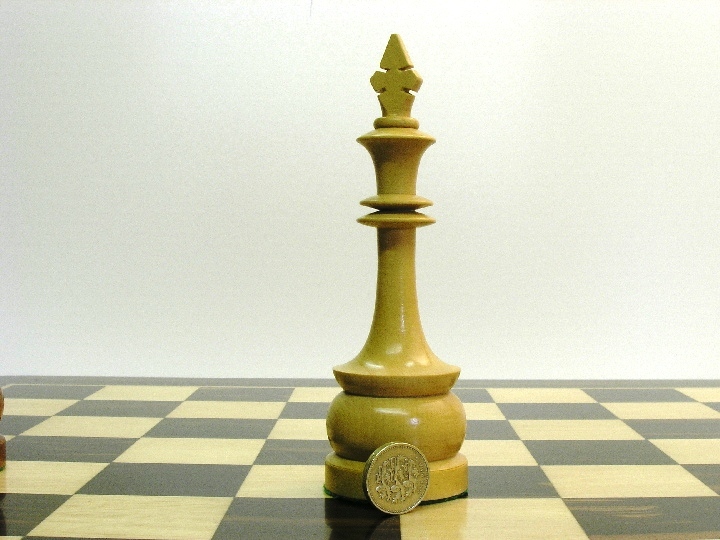 A Philippino chess piece design with their rounded bases and smooth lines. 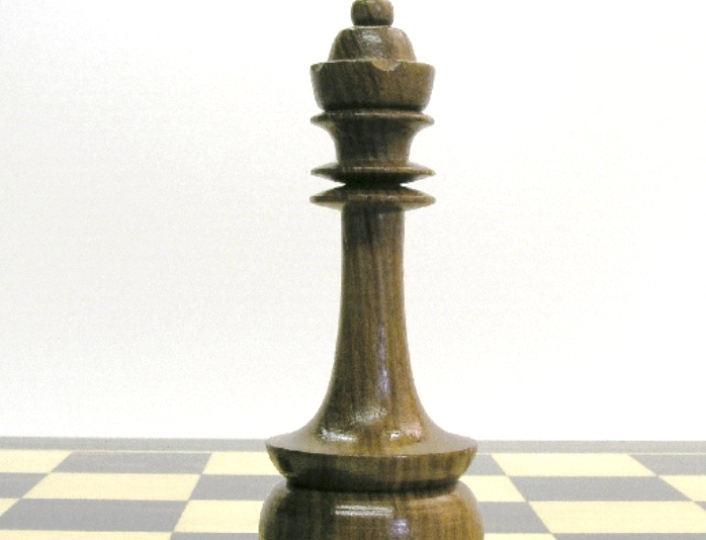 With a King that rises above them all at 6 inches this set has a commanding presence and is especially suitable for equally tall people who find playing with smaller pieces 'fiddley'. 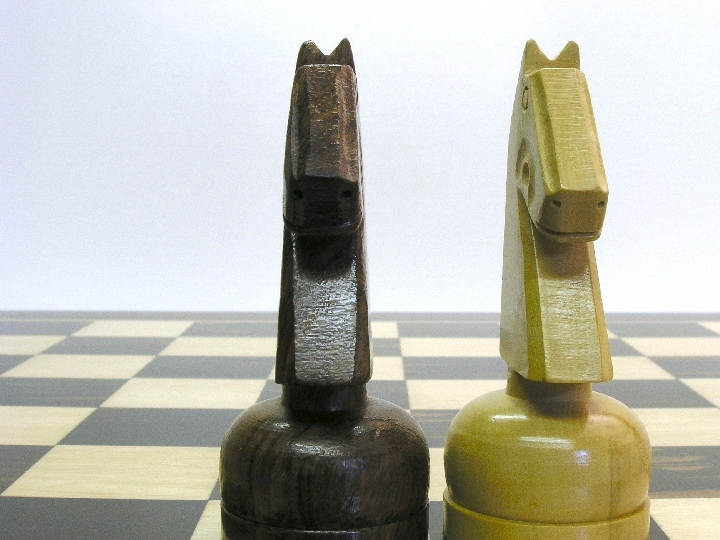 A clean design with smooth lines, these Philippino chess pieces are a good alternative to the traditional Staunton. Each piece has its unqiue appeal. 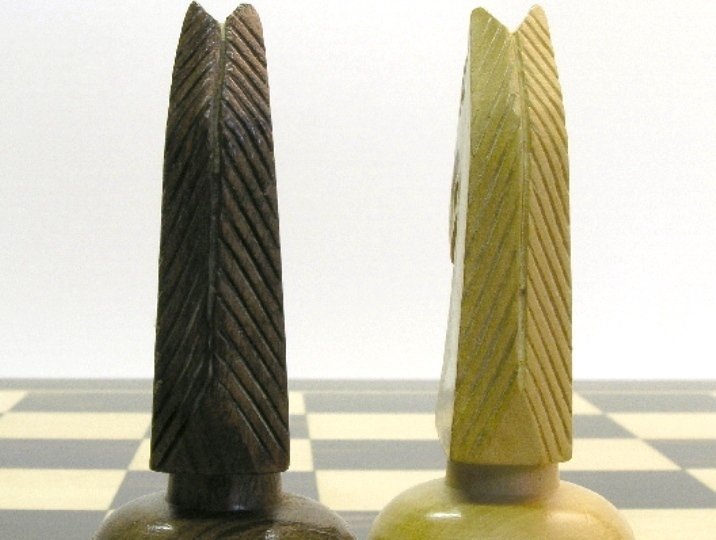 Look at the design of the King and Bishop chess pieces which are highlighted by a series of mid discs as well as the button-tiered Rooks and fine detail on the Knights. 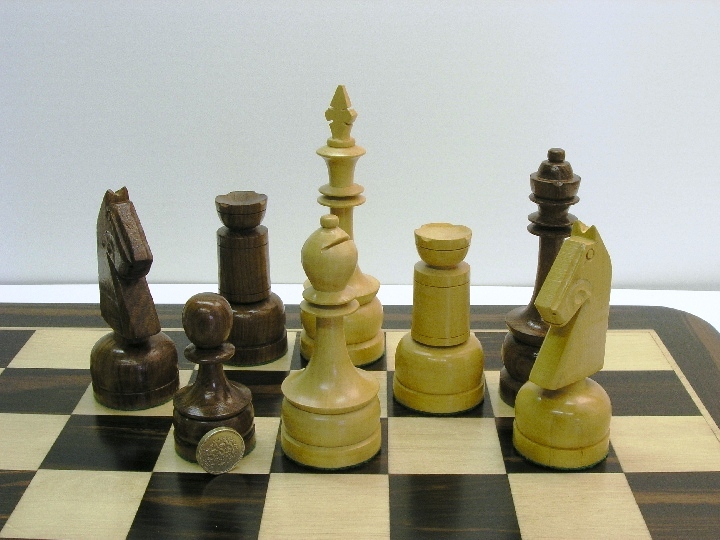 The chess set is large but graceful and requires a board with 2 inch squares.